THE AFL has hit out against ugly crowd violence after vision emerged of a man appearing to strike a woman during Fremantle's preliminary final loss to Hawthorn at Domain Stadium on Friday night. The shocking video appeared on social media in the hours after the Dockers exited the finals series. It shows a man wearing a Fremantle guernsey allegedly striking a female patron to the face with his right hand. The man is quickly engulfed by surrounding spectators as other onlookers attempt to shield children from the violent outburst and usher them to safety. A 24-year-old man from Joondanna was arrested over the incident. He's been charged with common assault, obstructing a police officer, and disorderly behaviour in a public place. The 38-year-old victim, who had asked the man to tone down his language, was treated by St John Ambulance officers for minor injuries. The incident came just a day after new Prime Minister Malcolm Turnbull labelled violence against women as "un-Australian" during the launch of a $100 million domestic violence package. In a statement released via Twitter on Saturday morning, the AFL said it "condemns, in the strongest terms, the man who punched a female supporter." "The AFL urges police to take the strongest action. AFL says our game must be a safe place for all supporters, in particular women and families. "This kind of behaviour is utterly unacceptable and we re-state our commitment to standing up against violence. "The AFL will be talking with police, the club and stadium about the incident. "The AFL's unequivocal view is women should never have to feel threatened or unsafe at AFL games." 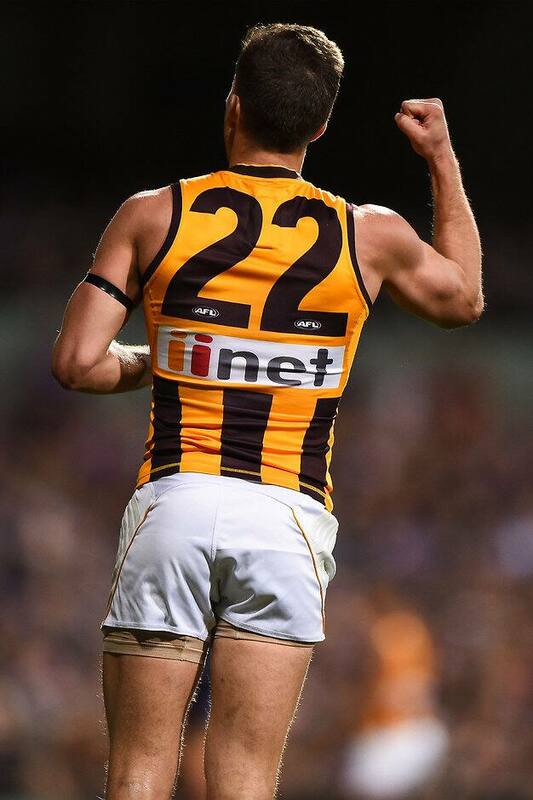 It wasn't the only incident on a disappointing night, with Hawks players Isaac Smith and Luke Breust also involved in close calls with over-excited fans. Breust was tackled into the fence by Dockers defender Tommy Sheridan during the third term. After hitting the fence hard with his back, a fan appeared to hit him in the back with an inflatable anchor. Domain Stadium general manager Gavin Taylor confirmed post-match that the police had been called in and the fan was ejected from the ground. "He got ejected straight away," Taylor told AFL.com.au. "We leave that with the police now. It's obviously inappropriate behaviour and as soon as we identified it we got him out." Smith had a brush with a fan on the fence during the second quarter. The fan shaped to hit him but did not go through with the action. There were fans ejected from Domain Stadium for racial vilification in both the round 17 clash between West Coast and the Sydney Swans and the qualifying final between Fremantle and the Swans. Swans star Adam Goodes was booed by sections of the crowd in both matches.